The V.ALRT is a wearable help button for individuals. It is ideal for anyone who wants to be able to send an urgent text or message to someone. With the press of a button, you can set off your cell phone to call help and send your GPS location coordinates. this device is a great choice. 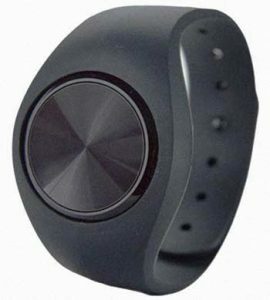 This is a tiny device, a button merely, that can be worn on your wrist the same way that you wear a watch. In fact, the button looks a lot like a watch. But the gadget can also be carried in a pocket, or worn around the neck as a pendant, or a belt clip. It uses Bluetooth technology to send messages from your phone. So that means that you have to have your phone with you for the device to work. Smartphone needs to operate on either iOS or Android technology. A good thing is that you don’t need any type of extra cell subscription service or any extra SIM-card for the device. The app for the device must be installed and running on your phone, and the device must be paired and connected to your phone. You can download the app from the App Store or Google Play. When the device is paired, you can add your emergency contacts and alert messages in the app. You can add up to three different contacts. You’ll be able to text or call to those contacts. You can initiate a text message or a phone call with the touch of one button in the device. Not only will your emergency contacts on the other end receive a text message, but it will also provide your location. That means if you’re sensing unsafe far from home, and you need to send an emergency message quickly and unnoticed, your location won’t remain a mystery. If you’re concerned about falls, there is an automatic Fall Detection feature. When Fall Detection is on, the phone will automatically send the alert when there is a fall. Before the signal is sent, there is a 60-second countdown. If you don’t want the message to be transmitted, you can cancel it during countdown time. But if you’re injured, you can rest assured that you won’t be left alone without communication. It’s crucial that you keep your cell phone within 75 feet when you’re indoors. Otherwise, the signal may not make it. Bluetooth technology has quite a broad range, but it does have its limits. If you get out of range, the device will alert you so that you can quickly correct the problem. You can also use the device as a silent alarm by switching it to Silent Mode. 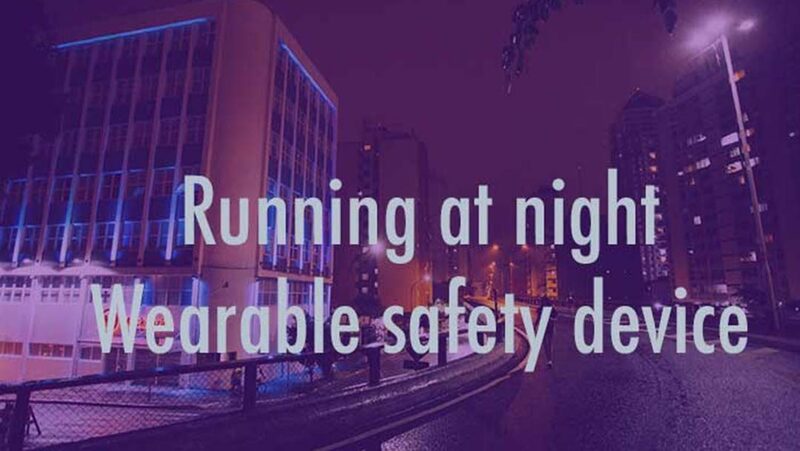 This is perfect for someone who is out running or hiking and wants some extra assurance of safety. With the V.ALRT Personal Emergency Alert Device, you can feel safe and secure in any location and know that you’re never alone. You can buy V.ALRT from here. Ask for help with the click of one button. Automatically notify your emergency connections – send urgent text messages and/or calls to up to 3 contacts. Smartphone-enabled with Bluetooth and app. No charging needed, battery operated. Range: Bluetooth 4.0 up to 75 feet indoors and up to 300 feet outdoors between the device and smartphone, depending on surroundings. Smartphone systems: Apple iOS and Google Android. Accessories: Wristband and pendant/keychain included in the box (Neck strap is not included). when running, the phone can be in a pocket or pouch or backpack, and you have this for a quick emergency. there might be problems to keep it connected, as cell phones might drop off Bluetooth connections from time to time. if your Smartphone system is updated, you need to update or re-launch the V.ALRT phone application and test the proper operation.